Well I was cleaning my room and found an album that had pics of him. He was supposed to be a GSD/ malinois mix, but in that tread they told me he could have some husky in him. 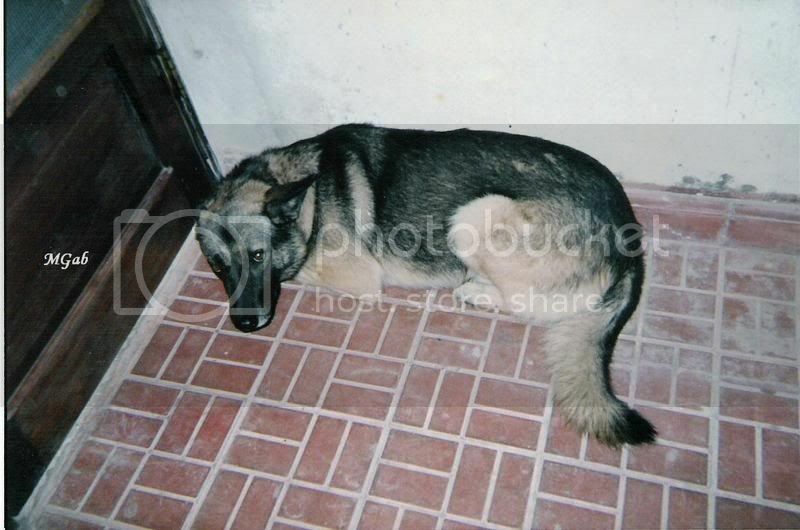 Maybe he could since he was stuborn and his fur shed a lot all the year and his body type look different from a GSD. 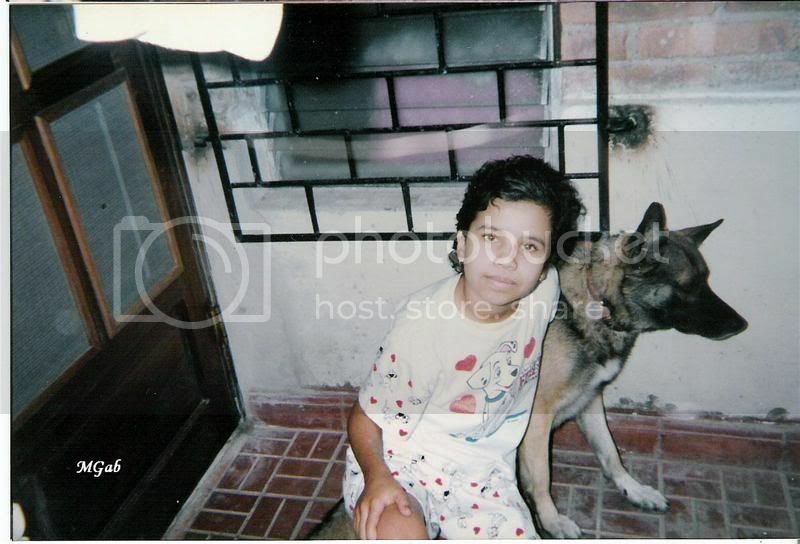 Here are the pics, this is in 1992 when he was 3 years old. The one hugging him is me, when I was 10 years old. With this pic of when he was young do you think he had husky? He was a little afreid of the camera in that time. His coat is very much like my Bear's, and Bear was an Akita/GSD cross. A Malamute/GSD would give you a very similar coat as well. Whatever Oso's parentage was, he looks like he was a big, handsome wonderful dog. 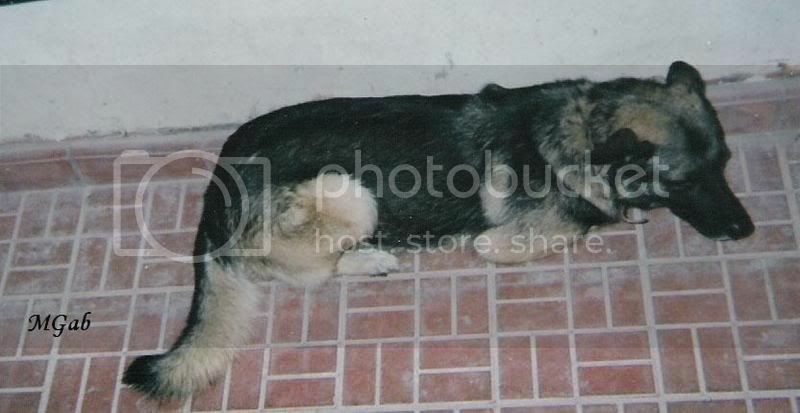 I see a lot of GSD on Oso, who, by the way, was gorgeous. 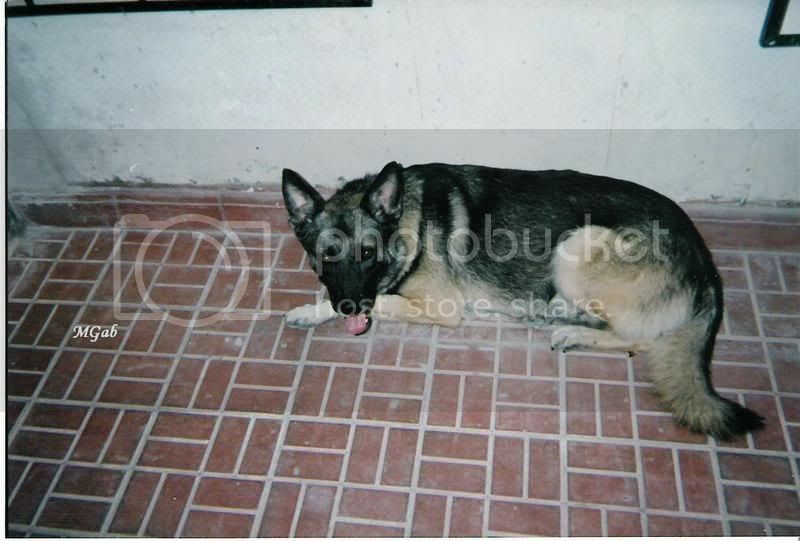 GSDs shed pretty heavy- the top coat all year long, and that nice, soft undercoat in the spring and fall. All that said, there is something about the coloring of his head and his expression that reminds me of a Norwegian Elkhound. i'd think he was pure GSD if i just saw that picture. He looked more GSD than his littermate Lobo, my aunt owned him. He was of a middle tan color solid in all the body, the only black he had was in the face and the ears, he didn't had a saddle. So that's a possible malinois in them.